Pap (Pretty and Paid) Chanel is on the rise. The Middle GA artist is the first lady of the rising indie label Guap Records and has received looks from QC artist Lil Baby whom she has a track with entitled "Talk 2 Cheap". 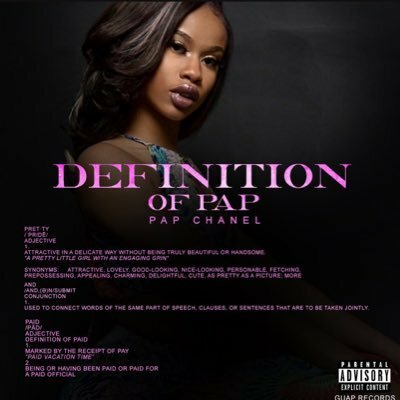 Now, she shares her debut EP titled Definition of PAP on all streaming platforms. She's the newest voice in Female rap and pretty soon rap period. Listen to Defintion Of Pap: EP.